In a 6-qt. slow cooker, mix water, vinegar and soy sauce. Rub ribs with mesquite seasoning; place in slow cooker. Cook, covered, on low until tender, 6-8 hours. Remove ribs to a platter. 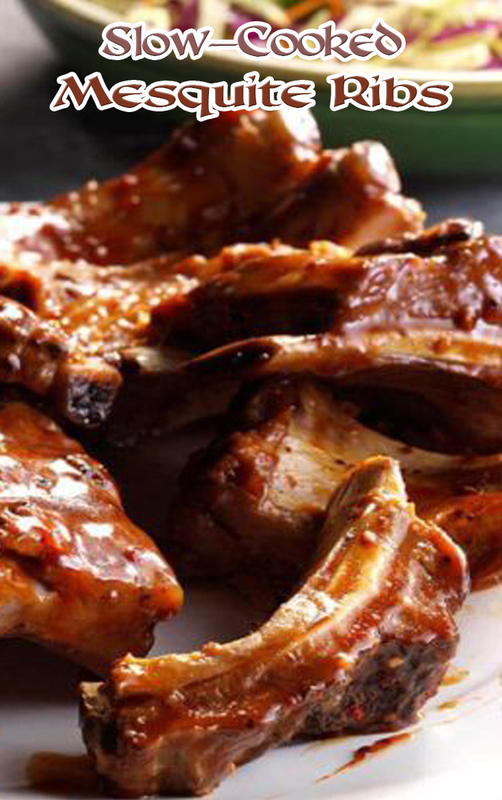 Brush with barbecue sauce; return to slow cooker. Cook, covered, on low until ribs are glazed, about 30 minutes.